In October 2018, BEWiSynbra announced the launch of BEWiSynbra Circular as a response to its commitment to sustainability as the company’s key strategic driver. Since then, Circular has commenced its operations and launched several initiatives. This includes introducing the concept ”Use-ReUse”, which aims at setting a new industry standard for collecting and recycling EPS, and at the same time raise awareness on the ease and importance of this work. “With the acquisition of a 51 per cent interest in Eco Fill, I am delighted to announce our first acquisition in our recycling business. Eco Fill’s long recycling history and unique experience from different waste management solutions fits very well with BEWiSynbra’s recycling ambitions going forward. We look forward to working closely together to further develop a common platform for our industry,” says Martin Bekken, Managing Director of BEWiSynbra Circular AB. “Eco Fill is pleased to become part of the Use-ReUse concept. The collaboration will allow us to grow and further develop our business in our home country Belgium, and throughout Europe. I am proud to contribute to improving the EPS value chain, both by reusing valuable raw material as well as reducing carbon dioxide emissions and waste in our economy”, says Koen van Roy, Managing Director of Eco Fill. 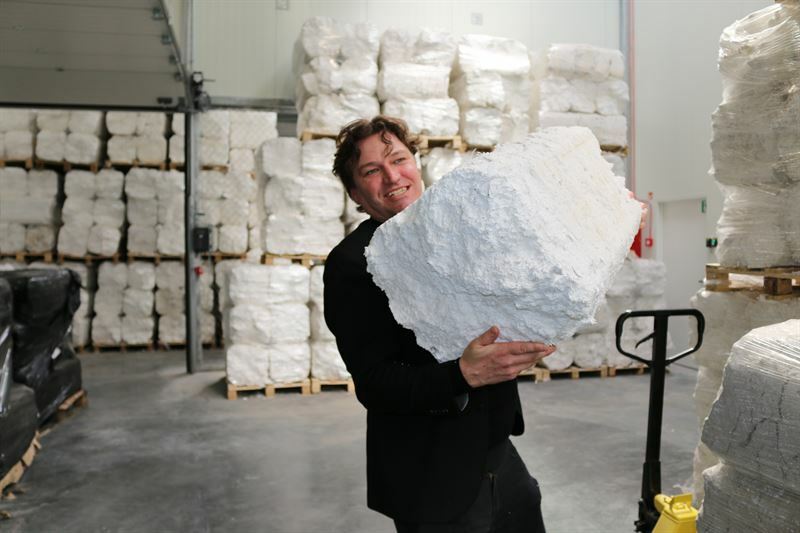 Eco Fill has been active in the circular economy for more than 15 years and has become the leading EPS-collector and recycler in Belgium. The company has developed a unique approach for packaging waste treatment in collaboration with its clients, where Eco Fill collects and compacts approximately 1,800 tons of EPS for recycling annually. The company also compacts more than 2,500 tons of cardboard and 400 tons of plastic film per year.